Visitors can retrace the steps of the ancient legend which tells about the army of knights hiding inside the mountain Velká Čantoryje who will emerge to help the region in times of need. 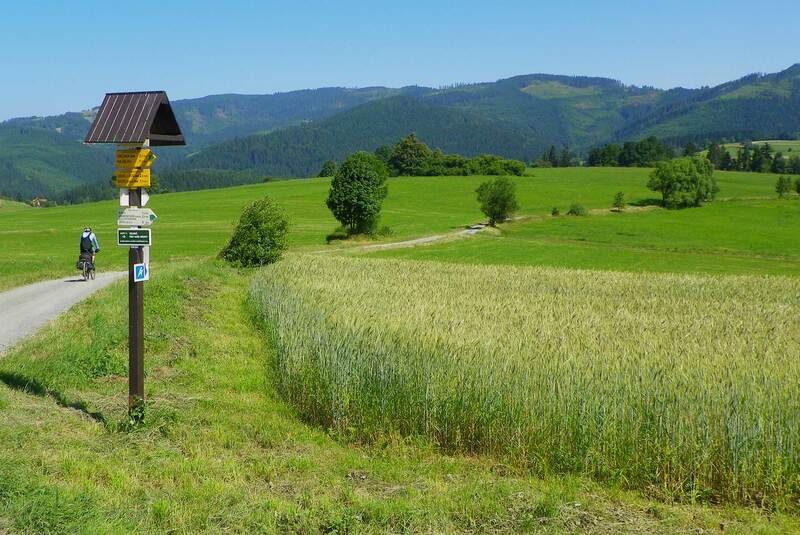 This 10 km-long educational path, which includes a climb of 579m, also offers you a range of other fascinating information: who was Jiří Třanovský, how people used to live in the Velká Čantoryje area, and which animals live in the local forests. You can walk up to the observation tower situated right on the summit of the mountain, which offers a panoramic views over Poland, the Czech Republic and Slovakia. The second part of the path lies on the Polish side of the mountain; you can use the chair lift down to the Polish town of Ustroń or enjoy the summer sled run. ...and while you are in the area, don't forget to visit the historic Vendryně lime kilns, which document one of the phases of the iron manufacturing. by car: from road number E75 (Český Těšín-Třinec-Jablunkov-Mosty u Jablunkova), at Bystřice turn for Nýdek. In the middle of Nýdek village there is a car park and the starting point of the educational path. by train and bus: From Bystřice nad Olší railway station take a bus to Nýdek.